Jenny Baines works predominantly with 16mm film, performing repetitive, often absurd actions for the camera. She uses the wind-up mechansim of the Bolex camera as a timer determining the duration of each action, before the films cuts and the action is reperformed. 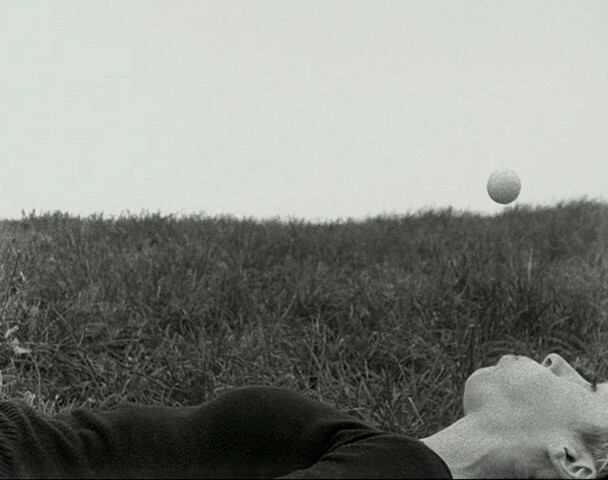 Aligning illustrates the artist attempting to line up a ping-pong ball with the horizon, using only her own breath to elevate it.